MY11 Mercedes Benz G55 AMG V8 Kompressor Presented in immaculate condition with Full Service History giving credit to the previous owner as the condition does not represent the kilometres travelled. Fitted with a Full G63 Brabus Style Facelift Front End Kit including LED Side Mirrors. Finished in Obsidian Metallic Black with Soft Black Designo Nappa Leather Interior, Alcantara Headliner and Dark Black Woodgrain Trim. 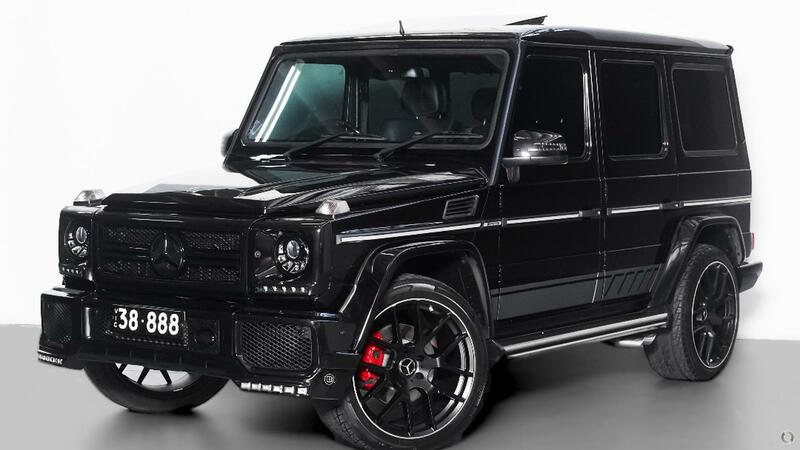 Highly Optioned with Features such as; Rear Entertainment, G63 Edition Stripes, 22 inch G63 Style AMG Wheels, LED Side Mirrors, Front & Rear Assist, Factory sunroof, Factory Satellite Navigation, Bluetooth, Front Row Heated & Cooled Seats, Harman Kardon Premium sound, Dual Climate Control, Rear Camera, Suede Headliner and Illuminated AMG Sills. Plus many more... Finance available and trade in welcome. Price includes RWC and Excludes all on road costs. Great buying @ $97,990.00!!! Any Personal Mechanical Test are welcome.